← Transportation Committee Votes on Walking/Biking Funding Next Week – Please Take Action Today! 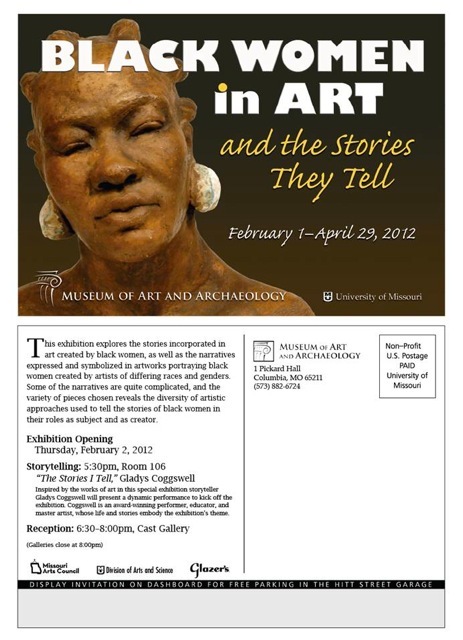 This is just a reminder that the Museum event with Lee’s visiting artist, Gladys Coggswell, is tonight at the MU Museum of Art and Archaeology. Event details are on the attached poster. Dr. Mehr suggested getting there early!